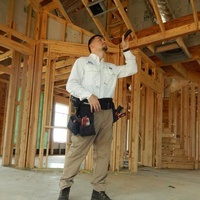 With an extensive background in construction and real estate, Elite Real Estate Inspections is here to serve you! As an educated and resourceful partner to add to your team, a confident and wise decision is what you will be making when purchasing your next big investment. On top of the great customer service and a thorough inspection, your complete inspection covers 12 building systems and​ hundreds of individual components. It’s performed using state-of-the art equipment, backed up by years of experience as well as 5 Comprehensive Warranties.